Dark red top with a swan patch. 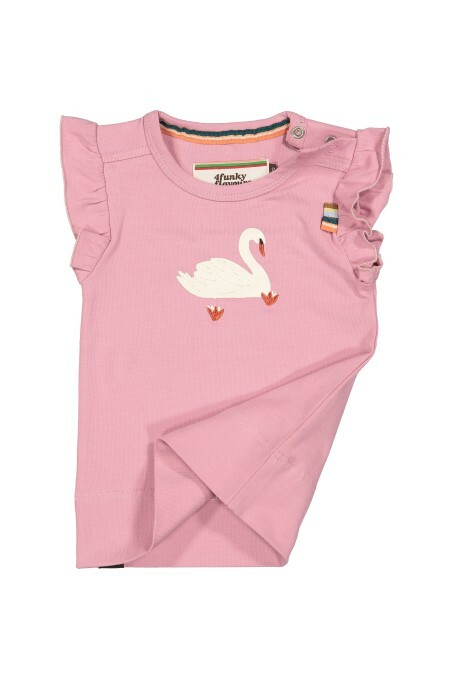 Pink top with an embroidered swan. Cotton top with a swan print. 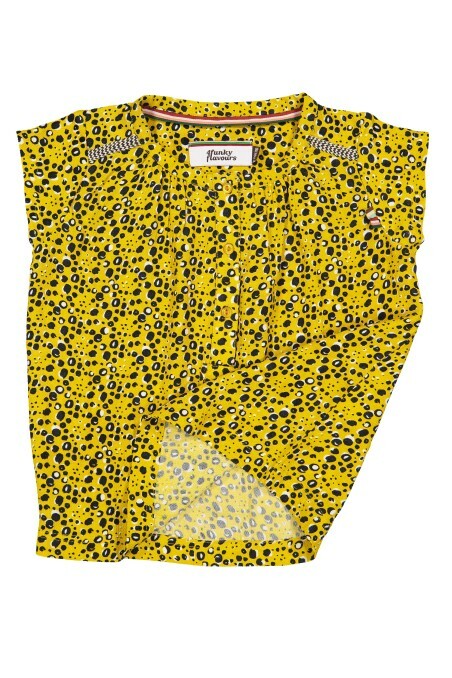 Yellow top with black and white print. Pink top with a patch. 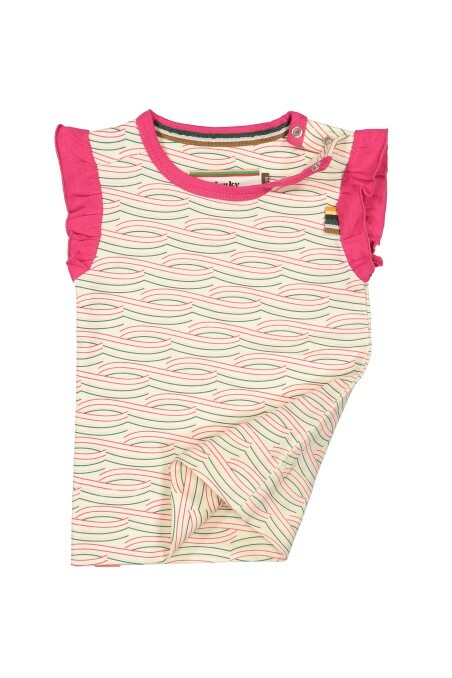 A cotton top in pink colour with stripes. 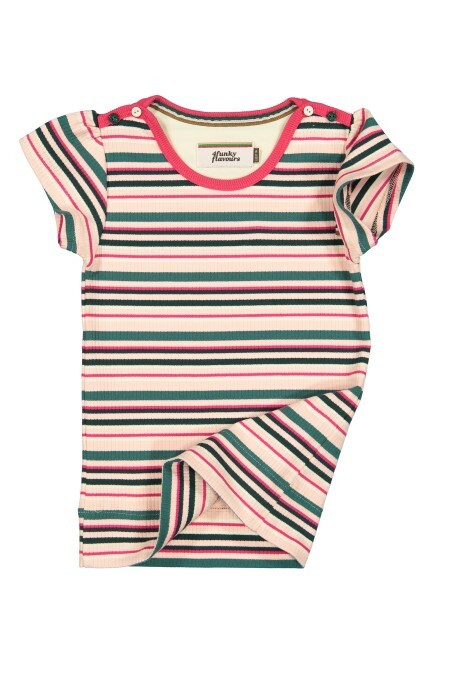 Cotton top with wavy lines and green sleeves. 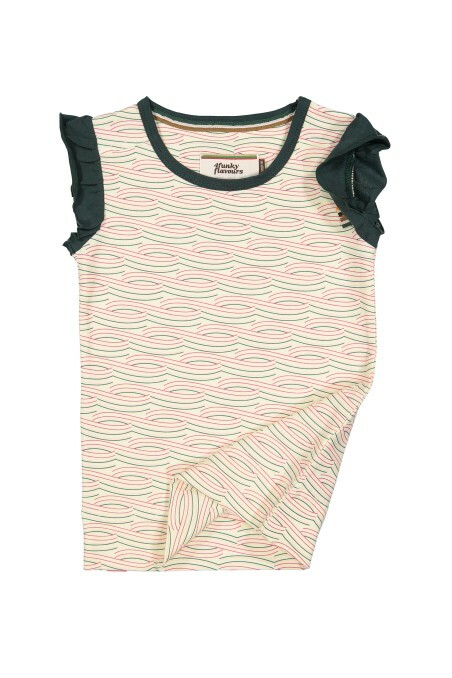 Dark green cotton top without sleeves. 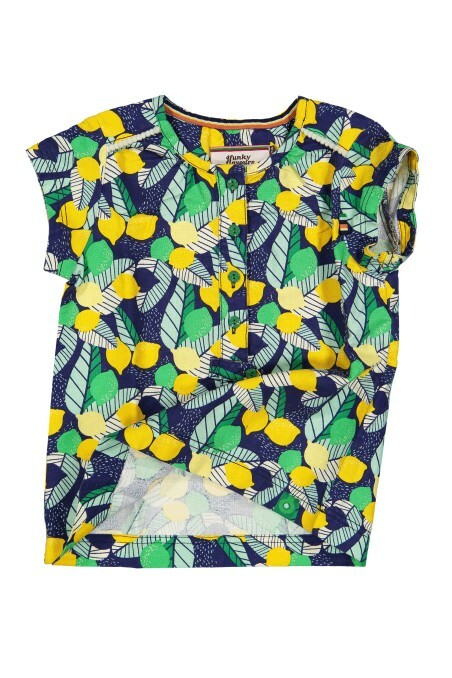 Dark blue top with lemons. 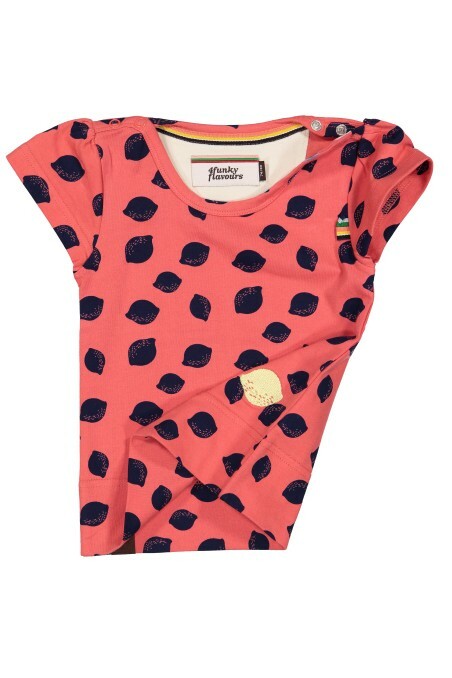 Pink top with embroidered patches.